M A K E U P D E S I G N was created with the intention of displaying unique to traditional makeup looks that are all created and applied by Professional Makeup Artist, Brittany Tuleja in Barbados. Brittany Tuleja, a born Californian raised and living in the Isle of Barbados. Has been a self-taught Makeup Artist of over 8 years, trained at the Cinema Makeup School in Los Angeles, where she received a Diploma in Film and Television Makeup in 2015. Along with other Certificates Of Completion with Iconic Celebrity Makeup Artists, 'Makeup by Mario Dedivanovic' and 'Priscilla Ono Beauty'. As for having highly developed artistic skills, and a vast knowledge in Beauty Makeup Artistry from learning amongst a few of the worlds best. 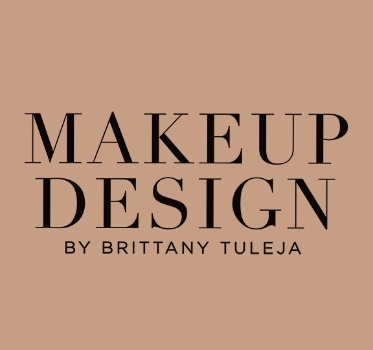 Brittany also discovered her love for teaching private makeup classes so that she can share her own techniques with equally passionate individuals, or to those whom just want to learn on themselves.